The bustle of the city fades quickly as you stroll through one of the paths at Olympic Park. Instead of the blare of sirens and the vroom of engines, birdcalls amidst a mild breeze surround you, and lush green trees and colorful flowers welcome you. Olympic Park may not be the first destination you might think of when in Songpa-gu, but the serenity and inner peace that this park offers is reason enough for Seoulites to visit. Moreover, Olympic Park — home to a variety of animals that are hard to find in urban areas such as woodpeckers and raccoons — epitomizes the dynamic city of Seoul, packed with history, leisure and culture. 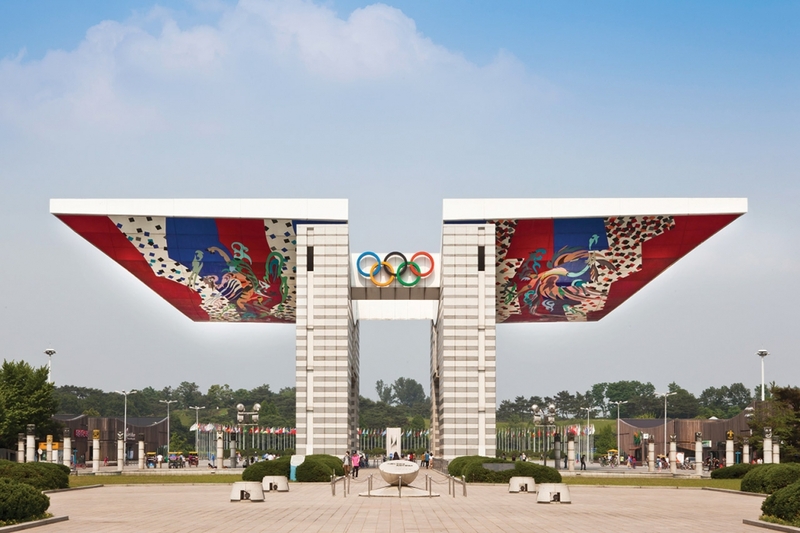 Olympic Park, managed by the Korea Sports Promotion Foundation (KSPO) was planned and constructed on the historic site of Hanseong Baekje, one of the ancient nations of the Korean Peninsula. This historic site of Baekje culture has changed a lot since it was confirmed as the site for the 1988 Seoul Olympic Stadium to become what it looks like today. 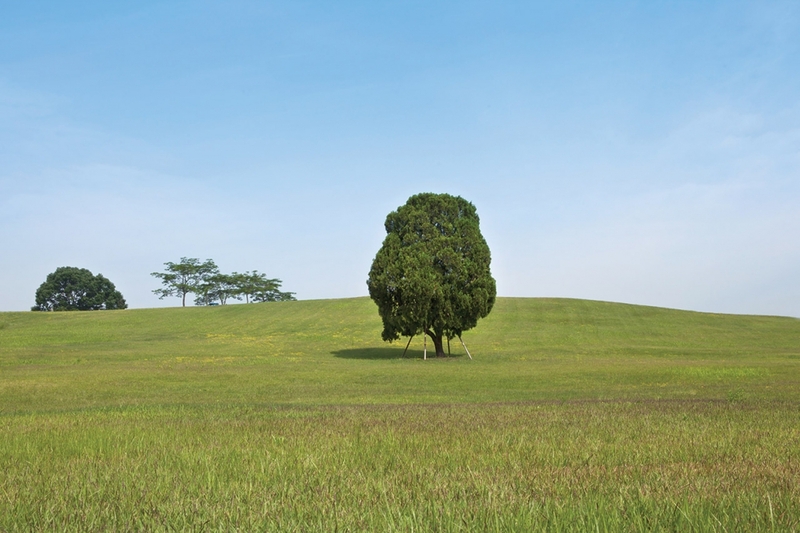 Amid the efforts to refurbish the area, Mongchontoseong Fortress, an earthen fortification surrounded by a deep moat from the third to fourth century, the era of Hanseong Baekje, was restored based on historical research. Precious relics and remains, including Baekje earthenware, weapons, fishing hooks, and stone mortars were excavated inside the wall. These valuable historical artifacts are on display at both the Mongchon Museum of History and the Seoul Baekje Museum (open Tuesday to Sunday, free admission) in a corner of the park. 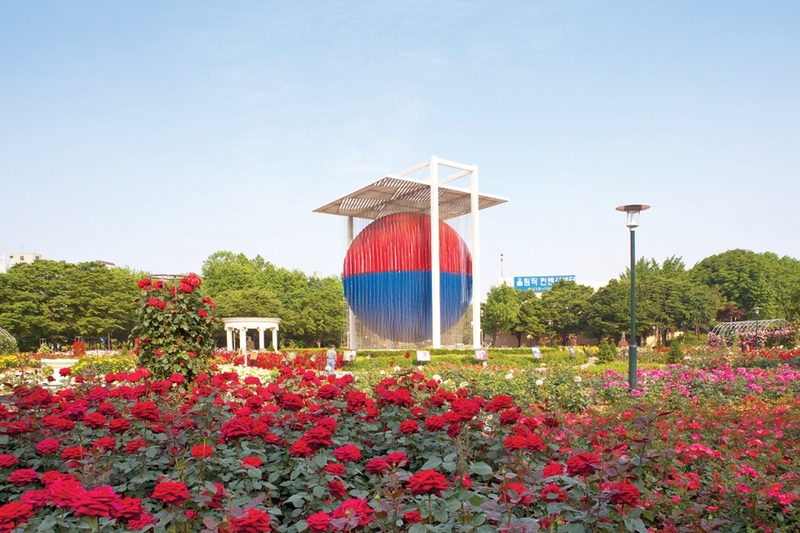 Recently, Olympic Park has been adopting eco-friendly methods to maintain the park to preserve its past and present for coexistence between humans and nature, slowly transforming it into an ecological park. Olympic Park is also well known for its promenade. A housewife in the neighboring area who asked to stay anonymous said that she visited the park to exercise almost every day. Strolling through the park is relaxing, away from the complexity of the city, she said. There are five different walking courses across the park’s 1.421 square kilometer site, and a “stamp tour” is available to browse the top nine highlights of the park. A little sweat pays off with a small gift when the participants stamp the marks on the designated pamphlet with the proper seals at the nine highlights. The stamp tour course normally takes about two hours on foot, but there’s one more reward — while walking along the path in this eco-friendly park, participants can always be surrounded by green. Fitness facilities to enhance people’s wellbeing by helping them to improve their health is also one of the missions of this park. The swimming pool at Olympic Park boasts longer and deeper lanes then most local pools. Avid swimmers who want to experience the internationally standard 50-meter lane should take note because swimming pools open to the public in Seoul mostly have 25-meter lanes. Other sports facilities such as indoors tennis courts and a gymnastics stadium are also open to the public so that they can improve their health through leisure activities in a safe, accessible place. Almost 200 pieces of sculpture made by international artists are on display throughout the vast area of the park. As the artworks were selected from the International Sculpture Symposium and the International Sculpture Invitations, which were held as culture and art events of the 1988 Seoul Olympics, Olympic Sculpture Park was born on a global scale. Descriptions of the artwork are kindly provided in both Korean and English to help the international audience to appreciate them. Massive artworks displayed in the outdoor space give the audience the illusion of being in an artistic space in nature. Several sports complexes and halls are also used as venues for music concerts and performance. Concerts or events such as Sound City (international artists) and Genie Music Festival (Korean hip-hop and R&B) are slated to be held in the SK Handball Stadium this July. As all different sorts of events are scheduled to take place in various spots of the park, please check the website to find the relevant information. How long has passed since you last heard birds sing? You don’t need to go far. Even the sound of flowing water — which you’d normally hear near a brook or in the middle of the mountain — can be heard in this ecological park, where nature is in harmony with history, leisure and culture. Olympic Park is a good choice as a free time destination for all generations.